How do you promote yourself as being a better provider / employer for disabled people than your competition? We believe good work deserves recognition – whether that’s in your general attitude and approach to disabled customers, or the accessibility of your building. If you take even a cursory look at our business case infographic you will see how important it is that you can promote yourself to disabled people – irrespective of how accessible you might be now. CredAbility is designed to help you shout about your services and be a provider of choice for disabled people. 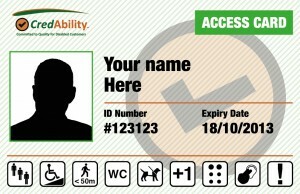 Linked together with our Access card its a perfect way break into a new and loyal customer base. Join a growing network of committed organisations today. 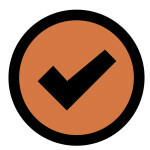 There are 3 awards from CredAbility and you can choose to access any or all at any time. The CredAble Employer Mark is an in depth audit of employment practices and only organisations providing good employment practices for disabled people are capable of achieving this mark. Not sure how these relate to your business? Contact us to find out more.